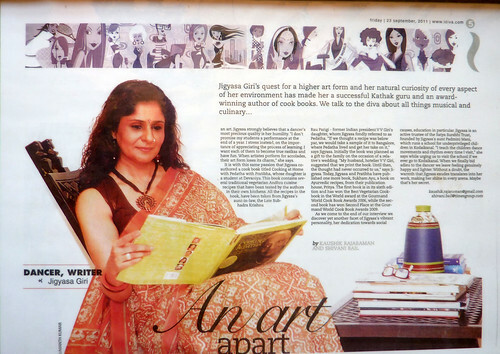 “Jigyasa Giri’s quest for a higher art form and her natural curiosity of every aspect of her environment has made her a successful Kathak guru and an award-winning author of cookbooks. We talk to the diva about all things musical and culinary…” says Times of India in a feature titled “An Art Apart – Dancer, Writer Jigyasa Giri”. This was published in their supplement idiva.com on Friday, 23rd September 2011. For some people, excelling in a certain field takes years of hard work. For others (who fall in love with their work), those years pass by almost ceaselessly as they pour their soul into their work More often than not, it is people belonging to the latter category who make a lasting mark on society. Kathak danseuse Jigyasa Giri’s philosophy on teaching and on work in general, places her family in this category. Just a brief conversation with the artiste is enough to inspire us to learn dance from her, such is her passion for the art form. With the same verve, she talks about the two culinary books that she has co –authored with her close friend Dr. Pratibha Jain. As the evening grows dark, with thunder clouds crowding the horizons, our room grows bright with conversation as Jigyasa describes her journey so far. Jigyasa grew up in Chennai and began learning Bharatnatyam at the age of seven. ”I never liked going for class. My mother (Dr. Devayani Patel) would literally have to force me to go. I really feel bad for my mother and my guru when I think about those days because I would cry so much every time she took me for class. At 13 I completed my Arangetram, which received rave reviews and critical acclaim, ”she says. However the truth was, I didn’t dance well at all, the good reception may have come my way because of lavish props, laser lights and six costume changes that I went through.” She continues, “At 16 I developed an interest in Kathak after watching a performance in Mumbai. My mother struggled to find a teacher in Chennai before she finally met my guru, the Late Natyashri Krishnakumar Dharwar – one of the few Kathak teachers in the South.” Under this tutelage, Jigyasa grew into a talented dancer. When Jigyasa was just 21 and was debating what she would like to do next, her Guru fell seriously ill. His words to her at this time made a deep impact on the future course of her life. “My Guru told me that I must teach Kathak. I did not take his words seriously then but they continued to remain deep within me. When I moved to Bangkok after getting married, I was invited by the Indian Women’s Association to take Kathak classes for children. That was 18 years ago and I have been teaching since.” Jigyasa started Devaniya, her city based Kathak dance school 12 years ago. Today she teaches over a hundred students. 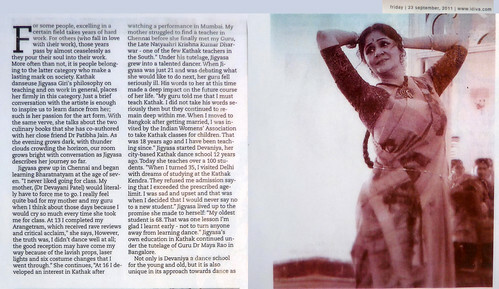 “When I turned 35, I visited Delhi with dreams of studying at the Kathak Kendra. They refused me admission saying that I exceeded the prescribed age limit. I was sad and upset and that was when I decided that I would never say no to a new student.” Jigyasa lived up to the promise she made to herself. “My oldest student is 68. That was one lesson I’m glad I learnt early – not to turn anyone away from learning dance.” Jigyasa’s own education in Kathak continued under the tutelage of Guru Dr. Maya Rao in Bangalore. 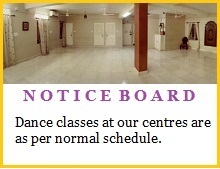 Not only is Devaniya a dance school for the young and old, but it is also unique in its approach towards dance as an art. Jigyasa strongly believes that a dancer’s most precious quality is her humility. “I don’t promise my students a performance at the end of the year. I stress instead, on the importance of appreciating the process of learning. I want each of them to become true rasikas and have fun. 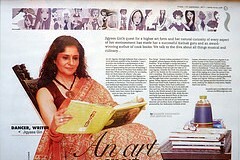 When artists perform for accolades, their art form loses it charm,” she says. It is with this same passion that Jigyasa co-authored a cookbook titled ‘Cooking at Home with Pedatha’ with Pratibha, whose daughter is a student of Devaniya. This book contains several traditional vegetarian Andhra cuisine recipes that have been tested by the authors in their own kitchens. All the recipes in the book have been taken from Jigyasa’s aunt-in-law, the Late Subhadra Krishna Rao Parigi – Former Indian President V.V.Giri’s daughter, whom Jigyasa fondly referred to as Pedatha. “If we thought the recipe was below par, we would take a sample of it to Bangalore, where Pedatha lived and get her take on it,” says Jigyasa. Initially the book was planned as a gift to the family on the occasion of a relative’s wedding. “My husband, Hotelier V.V.Giri, suggested that we print the book. Until then, the thoughts had never occurred to us,” says Jigyasa. Today, Jigyasa and Pratibha have published one more book, Sukham Ayu, a book on ayurvedic recipes, from their publication house, Pritya. The first book is in its sixth edition and has won the Best vegetarian cookbook in the World award at the Gourmand World Cookbook Awards 2006, while the second book has won second place at the Gourmand World Cookbook Awards 2009. As we come to the end of our interview we discover yet another facet of Jigyasa’s vibrant personality, her dedication towards social causes, education in particular. Jigyasa is an active trustee of the Satya Surabhi Trust, founded by Jigyasa’s aunt Padmini Mani, which runs a school for underprivileged children in Kodaikanal. “I teach the children dance movements and rhythm every time I visit,” she says while urging us to visit the school if we ever go to Kodaikanal. When we finally bid adieu to the dancer we leave feeling genuinely happy and lighter. 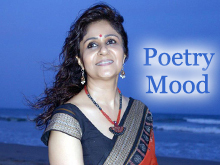 Without a doubt, the warmth that Jigyasa exudes translates into her work, making her shine in every arena. May be that’s her secret.